The simple-to-use, easy-to-install device switches the hob off after a predetermined time, ensuring the kitchen is left safe. Available as both a vertical and horizontal unit, HobSafe is at home in any kitchen next to the two-gang cooker switch. The robust tamper-proof model includes factory-set 15-, 20-, 30- or 45-minute run times – LED operation light and a reset button for extended use. Due to the large terminals and switching capacity, electricians find it quick and easy to fit to any electric hob – in most cases in under 30 minutes. 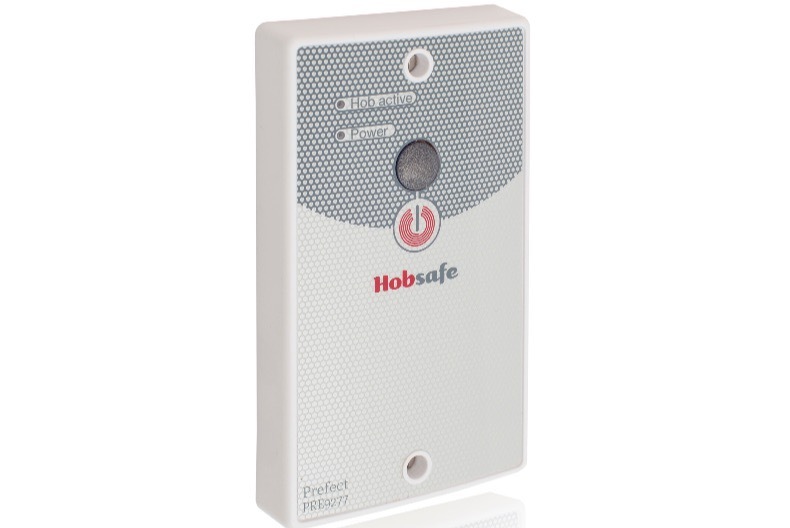 HobSafe is an inexpensive device giving peace of mind to landlords and accommodation managers looking to improve safety while saving money on energy use and installation.